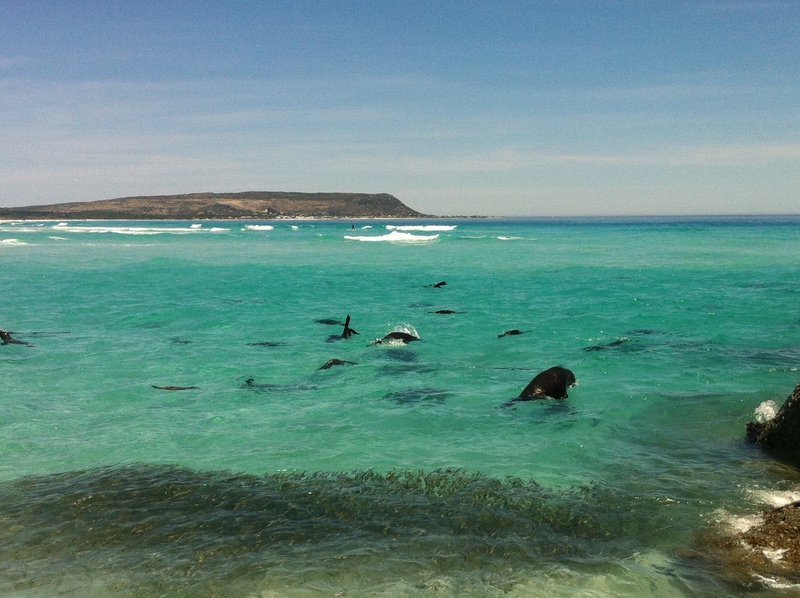 Noordhoek hosted its very own sardine run on Saturday and we were fortunate to be present. We received a tip off from the soon to be professional SUP Chalky Le Roux that the shiny little omega 3 delights were to be found in knee deep waters on the beach. This was my first real live experience of such an event and it was nature at her finest. The seals were herding the little buggers into a corner of the beach and then picking them off at their leisure while excited children scooped them up in their hands and the more organised adults used nets and milk crates to catch them. Commander J proved to be rather adept at grabbing them from the shallows and we had a packet of 12 sardines within minutes. It was one of those perfect days that cause tourists to buy a beach house in South Africa on impulse. 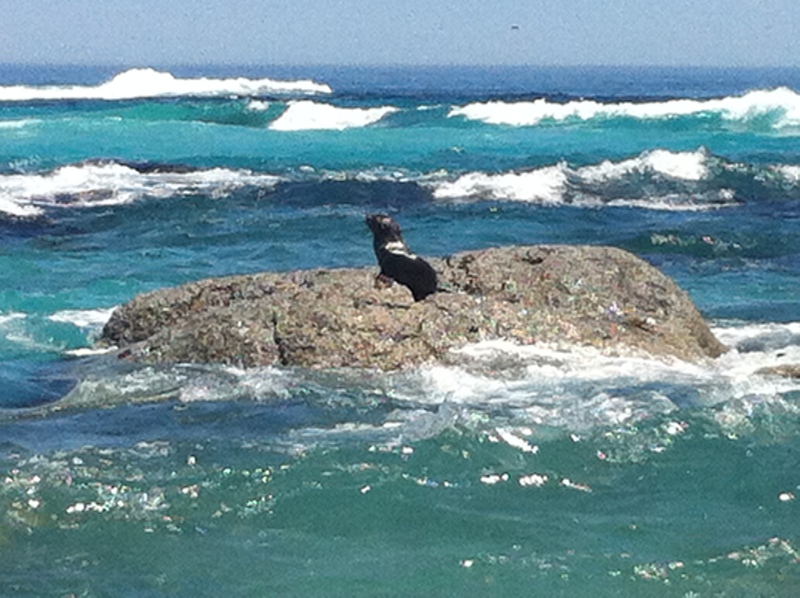 The wind was a gentle breeze, the water was turquoise, sun, seals, sardines, seagulls and surfers. We spend a while watching the activities taking place in the ocean and finally left with our spirits lifted as though we had imbibed in a restorative tonic. 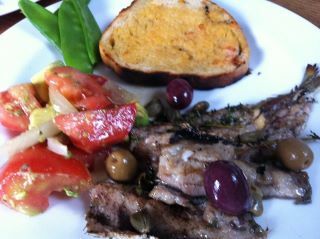 Sardines are a bit finicky to prepare but when they are fresh they are delicious and most certainly worth it. Most South Africans regard sardines as only good for bait which is a shame as they are available in abundance and are extremely healthy as they are rich in omega 3 fat. Clean and gut them outside if you can as they have a lot of scales and it is messy work but not too complicated. Once gutted either leave the head on or take it off, the choice is yours. I chose to braai ours with olive oil and thyme but you can also bake, grill or fry them and they have a robust flavour that goes well with herbs, tomato and spicy condiments. Nature provided us with a glorious day and a free lunch which doesn’t happen too often. Fortunately we were able to appreciate it and enjoy it in between the hustle, bustle and stresses of everyday life. My only hope is that we don’t get to the point where I end up telling my grandchildren about how we used to catch sardines with our hands they were so plentiful, while they are only able to read about them in the chapter on extinct species. Take only what you need for today or there won’t be any left for tomorrow. 1 Response to Take what you need……..
Wow ….what a great experience. The end result looks good too!